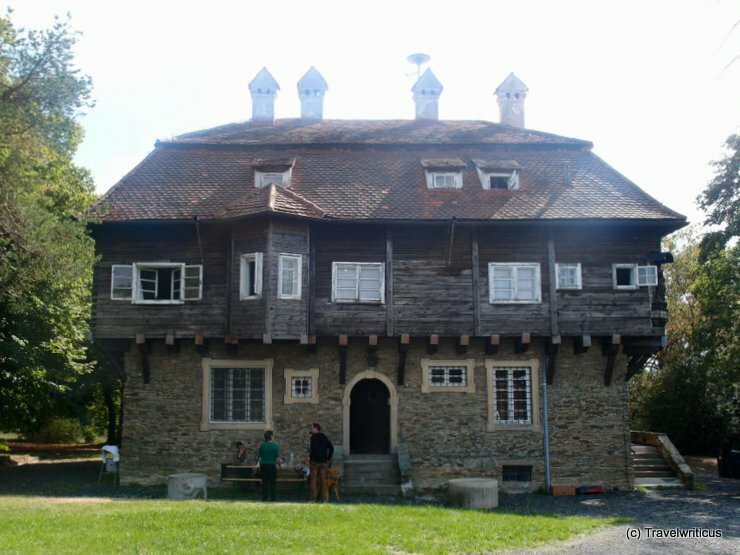 The Madonnenschlössel was built in 1923 by Mayor Georg Gyömörei. It was the residence of him and his wife which was the sister of Count Almasy. Today it serves as budget-friendly accommodation for hikers and bikers and as venue for events. 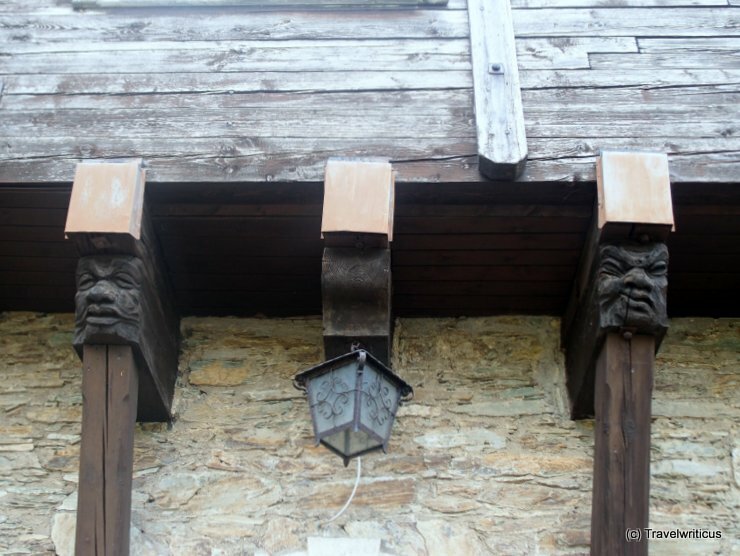 At the wooden construction in the upper floors of the building one can see some fun grimaces. 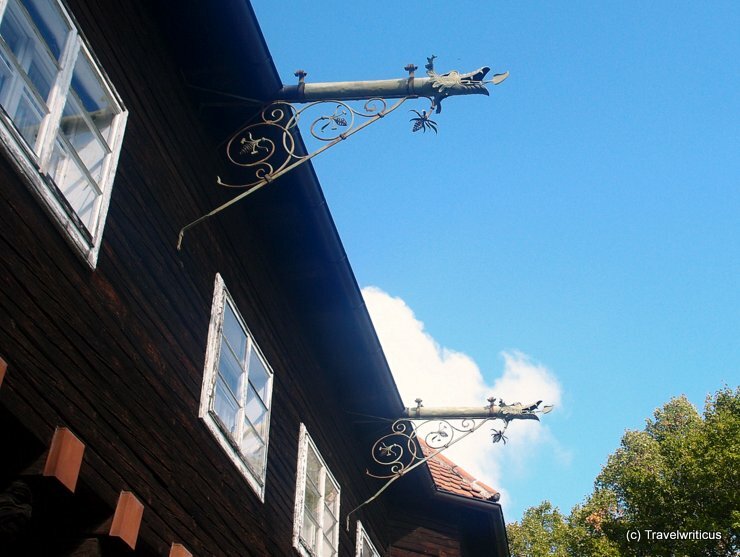 At the rear of the Madonnenschlössel one can see two well decorated waterspouts. This entry was posted in Castles and tagged Austria, Bernstein, Burgenland by Travelwriticus. Bookmark the permalink.